There will be demonstrations with time for questions and answer, as well as, individualized instruction. We can also accommodate your choice of day and time. Five minimum students. Maximum number of students will vary depending upon course/workshop selected. Workshop Description: Spend the afternoon making a card for someone special. This hands-on workshop will focus on creating one-of-a-kind cards using a range of collage materials such as paper, buttons, glitter, ribbon and paint etc. Workshop Description: In this course students will create an image with mixed media collage that builds into either a realistic or abstract image. The use of colour and painting techniques are the focus; students will create vibrant and imaginative 2-dimensional works of art. Students will playfully explore an exciting combination of tools and materials while focusing on colour mixing, blending, contrasts and harmonies while learning about the tools associated with tempera, acrylics, watercolor and gouache paints. This fun class provides a perfect art opportunity. Workshop Description: In this four- hour workshop students will learn how to depict their ideas and imagination on to the canvas or paper. This workshop will help young artists to explore their talent and creativity while focusing on their choice of medium. Workshop Description: In this workshop students will learn how to paint colourful flowers and butterflies by using different size and shapes of brushes while focusing on colour mixing, blending and collage. Workshop Description: In this workshop students will learn how to draw and paint cars and wheels while focusing on basic drawing and painting techniques. Students will learn how to use variety of tools e.g. the geometrical shapes. Students will explore a variety of techniques and medium that allow for creative expression in a fun and supportive atmosphere. Note: Consider the advantages of membership. Members receive a 20% discount on workshop fees. 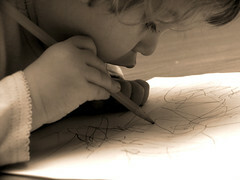 This entry was posted in Workshops, Workshops - Childrens and tagged Workshops, Workshops - Childrens. Bookmark the permalink.